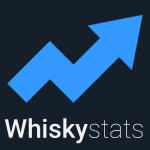 Becoming a Whiskystats-Member is as easy as it gets. Simply navigate to our registration-form and fill in a username and email-address and choose your password. After you have confirmed your email-adress (by clicking the link in the mail we sent you) you are ready to login on whiskystats. You can now search our database by either using the “livesearch” or the “detailed search”. If you use the livesearch, all bottles for which your query string matches their descriptions will be displayed. In the “detailed search” you can filter the database for specific distilleries, bottlers or regions. For both methods the results will be displayed beneath the search form. You can then sort the displayed data by simply clicking on the header of the column you wish to order by. Quicktip: You can sort the results on multiple columns by holding down the shift-key while clicking the respective columns. In order to see the detailed price information of a bottle you can simply click on the bottle’s name in the search results. You will see a visualization of the observed prices as well as additional information on the bottle and the prices. Here you also have the possibility to add the bottle to your personal collection. In order to add a bottle to your personal collection you need to create a collection in the first place. For this purpose simply navigate to Your Collections. There you can add your collection by clicking on the “Add Collection” button. In our upcoming articles we will show you how to manage your collection and what is hidden behind our Toolbox. We use them to track the value of our collections or assess the performance of a particular part of the market or even the whole market. In this article we will show you how we calculate our indices. We finally reach across the big pond as we now start tracking secondary market prices for Bourbon whiskeys. The number of trades is steadily increasing while prices not always did. Here is our introduction of Bourbons (and some Rye)!